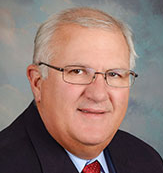 Current senator: The current senator for the 17th District is Sen. Dale Zorn (R-Ida). The district features Lenawee County and Monroe County. According to the Senate Republicans, Zorn is chair of the Local Government Committee and vice chair of the Outdoor Recreation and Tourism Committee. He is also a member of the Banking and Financial Services Committee, the Energy and Technology Committee and the Veterans, Military Affairs and Homeland Security Committee. A map of the 17th District is available here. Sen. Dale Zorn raises money through a candidate committee, Dale Zorn for Senate.